Ad pre-approvals for therapeutics stay .. for now: A controversial TGA bill that would have seen advertising pre-approvals removed has been passed by the Senate. The Therapeutic Goods Amendment Bill 2017 was passed with an amendment, negotiated by the Labor Party, to keep current conditions regarding the mainstream media advertising pre-approval process for therapeutic goods for two years. An evaluation of the new advertising framework is set to be conducted in 18 months. Tangled web around the TGA (2017 Measures No. 1) Bill 2017: The Therapeutic Goods Amendment Bill 2017 Bill passed the Senate last Friday. Labor supported the Government amendment to continue advertising pre-approval (in mainstream media) for 2 years with a review after 18 months. Neither the Government nor Labor appeared to have any problem with a likely flood of medicines that claim to, “soften hardness”, “open body orifices”, and “moistens dryness in the triple burner”. Meanwhile, the TGA have yet to circulate a draft of the new Therapeutic Goods Advertising Code. This might provide another opportunity to raise advisory statements. In addition, the permitted indications mentioned in the Bill must be activated by Regulation. This will require the permitted indications list to be tabled in each house of Parliament where members of Parliament are able to move that the regulation be disallowed. In short, controversy about this Bill will continue. One treatment protocol is said to heal a long list of conditions. There’s no ‘one thing’ that can cure many ailments. The words ‘magic’ or ‘miracle’ are used. If something really worked that well, you’d have heard about it and it wouldn’t be sold online for $29.95. True believers, entrepreneurs, and scammers in alternative medicine: In the online echo chamber promoting alternative medicine, there are varying degrees of deception. There are true believers (who are often victims), entrepreneurs (who are often true believers who found a profitable business), and scammers. The categories are not mutually exclusive. Woman who “cured” cancer with veganism dies…of cancer: There are sadly too many cases such as this and the charismatic and emotionally-appealing nature of much of alternative medicine often leads to victims of dangerous pseudoscience to become propagators and proponents of this same misinformation. 14 vaccine myths that just refuse to die debunked: LANGUAGE WARNING: This article contains vulgar language. If you are offended by crude language, give this one a miss. Despite the vulgarity and generally outraged tone of this piece, it covers the favourite arguments of the anti-vax community and takes them apart. This is likely a case of preaching to the choir, but if someone out there is still having doubts about the safety or efficacy of vaccines, have a good read. Vaccines are safe and effective. They save lives. There is no conspiracy. Pharma companies may be driven by profit, but what company isn’t? They post big profits but many companies do; it’s a big profit environment we live in. Don’t throw the baby out with the bathwater just because you don’t like corporate profit. Vaccinate yourself, vaccinate your kids. Just vaccinate. 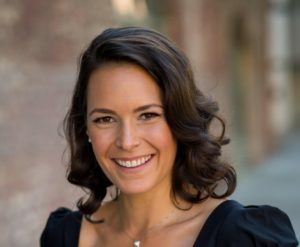 Naturopathic Education – A former naturopath blows the whistle on the industry: Britt Hermes trained and graduated as a “Naturopathic Doctor”. She discovered that her boss and mentor was treating cancer patients with a non-FDA-approved natural chemotherapy drug. Compounded with growing fears that her naturopathic training hadn’t prepared her to diagnose or treat truly sick people, she quit. Her blog, Naturopathic Diaries, offers a methodical takedown of everything she thinks is wrong with her former profession, from the pseudoscience of detoxes to the dangerous shortcomings of naturopathic education. Brain remaps itself in child with double hand transplant: It has been documented in amputees that the brain remodels itself following the loss of a body part. The region within the cortex that corresponds to the amputated limb is rewired, as it no longer has signals sent from that limb. Two years ago, 8 year old Zion Harvey received hand transplants, and researchers had already observed this remodelling following the loss of his hands. Now they have observed the reverse – a specific region corresponding to Zion’s newly transplanted hands had begun to develop. While the plasticity of the brain has been appreciated for a long time, this is the first time massive cortical reorganization has been seen for sensory areas within the brain.